The meaning of patience is not consistent across cultures. C. Dominik Guss, professor of psychology at the University of North Florida, discusses how different European countries vary in this regard. Dr. Dominik Güss is a psychology professor at the University of North Florida in Jacksonville. He earned a doctorate of philosophy in psychology from the Otto-Friedrich-Universität Bamberg in Bamberg, Germany. Güss’ research interests include the influence of culture on higher-order cognition and terrorism. His cross-cultural research on dynamic decision-making has been funded by the National Science Foundation and a Fellowship of the Alexander von Humboldt Foundation, and his cross-cultural research on creativity in five countries has been funded by a Marie-Curie IIF Fellowship of the European Commission. 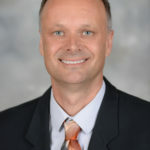 At UNF, he has received awards for excellence in teaching, research and internationalization of the campus, including be selected as the recipient of the John A. Delaney Endowed Presidential Professorship last year and the Distinguished Professor Award in 2016. He has over 60 publications and is on the editorial board of several journals. Patience in everyday life is a strong predictor of well-being. With colleagues and students from the University of Bamberg we were the first to conduct a European study comparing patience across cultures. We observed over 800 people in three everyday situations—supermarket, ATM machines, and telephone survey introductions —in France, Germany and Romania. My students observed reactions of people while waiting in supermarket store and ATM lines. The third scenario was calling people and reading a long introduction for a telephone survey, where people’s impatient verbal reactions were also noted. We hypothesized that Romanians would be the most patient, followed by French and then Germans, based on previous studies on pace of life, which showed that Germans had the fastest pace of life among the three countries. Results showed, however, that Germans were the most patient in the ATM machine situation. This finding reinforces the self-regulation hypothesis that Germans compared to French and Romanians have more self-control, which makes them tolerate impatience more successfully. Other findings show culture-specific impatience behaviors. Germans showed more anger in the supermarket waiting situation, while Romanians apologized more often when they wanted to end the phone survey. In the ATM scenario, the French displayed more angry facial expressions and left the situation more often compared to Germans and Romanians. Results showed there are cultural differences as to when people get impatient and the reactions they show. These findings could also be important for visitors traveling abroad and wanting to fit in with the locals.